I would say they're fast with getting the work done, and their prices are very affordable. I will definitely keep recommending them to my family and friends. I like the owner, Eduardo. He's very courteous, friendly, and responsible. He only wants to do the best of quality work, instead of just making a buck off of you. They're very customer oriented. They seem to care about the customer and are very quality driven. I just felt like they had my back. When you deal with auto repair shops, sometimes they try to add on all of these liberal charges, even when you don't need them. At Fremont Foreign Auto, I don't feel ripped off. When I go in for something, and the workers notice something else needs to be done, even if that's labor intensive, they take care of it without any extra charge. They're really involved, and I really feel satisfied. I thought they worked for a great price, and they seemed very honest. The guy who did the work looked around for parts for me, which I didn't ask him to do, but he just did that on his own. They all show initiative. 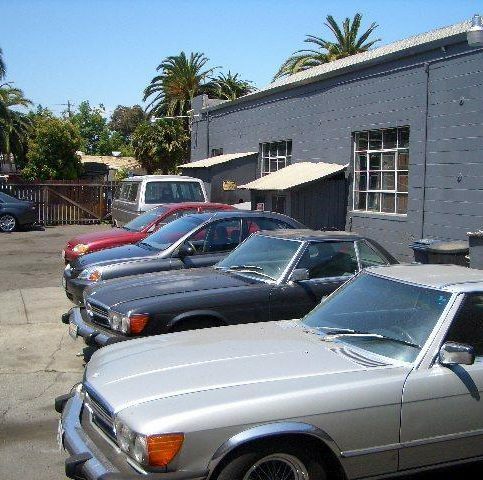 Fremont Foreign Auto repairs foreign cars of almost every make and model for Alameda County drivers, including major German, Swedish and Japanese brands. It also occasionally works on domestic and exotic cars. The company’s services range from factory-recommended maintenance and engine overhauls to air conditioning repair and brake examinations. Eduardo Porta began working on cars when he was just 13 years old. 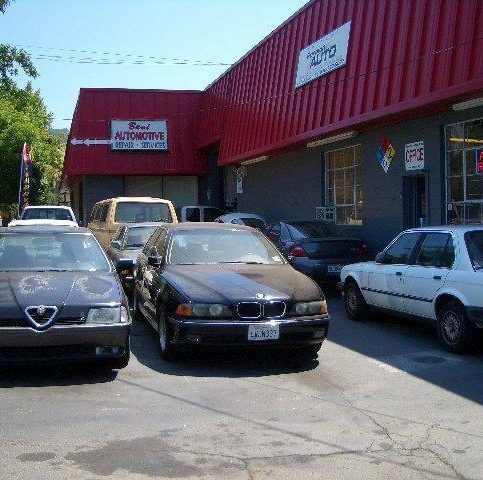 In 2000, he channeled this lifelong dedication into the opening of Fremont Foreign Auto, which specializes in repairing foreign cars of almost every make and model, including major German, Swedish and Japanese brands like BMW, Volvo, Saab, Toyota, and Lexus. It also occasionally works on domestic and exotic cars. Performance automobiles are the company’s passion–from the latest European cars to the classics, says Mr. Porta. 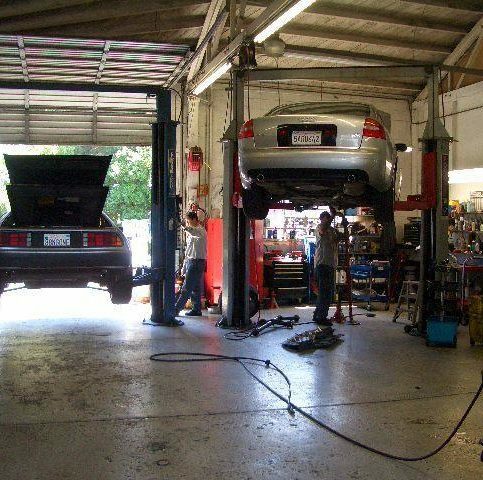 Not every auto shop is the same. If you have a foreign automobile, taking it to a shop that specializes in foreign repairs is essential. Foreign auto repair can be more difficult and time consuming than domestic auto repair. The reason for this is simple: With the original auto parts and repair expertise located in another country, you’ll often pay more and wait longer for your car to be fixed. Fortunately, due to the increasing number of foreign vehicles on the road, auto mechanics and repair shops that specialize in foreign auto repair are becoming more common. But what should you look for when choosing a repair shop for your foreign car? First, make sure a shop has the proper certification to service the make and model of your car. Foreign cars contain electronics and engines that are very different from their American counterparts. If a shop isn’t certified to repair your model, there’s a good chance it’ll be worse off when you bring it home than when you brought it in. “It’s very important to make sure a shop is properly licensed,” says Eduardo Porta, owner of Fremont Foreign Auto. “You should also look into its history. Find out where the shop owner came from. 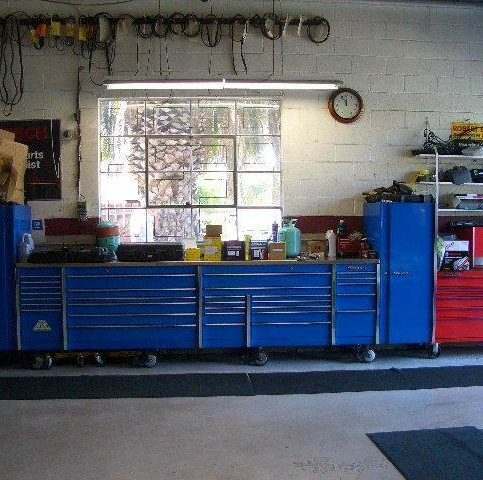 To be a good shop owner, you have to first be a good mechanic, so make sure they know what they’re talking about.” Also, look for repair shops that provide warranties on the parts they install. This is especially important if your car’s parts aren’t OEM (Original Equipment Manufacturer). OEM parts are federally licensed and, therefore, required to carry warranties. Many costly car repairs, whether on foreign or domestic vehicles, can be prevented by following a routine car maintenance schedule. It can also be helpful to join an online foreign auto repair blog, which will notify you of issues common to your vehicle and provide you with a second opinion regarding repairs. When you finally do have your car repaired, obtain written estimates from several service centers instead of just one. Sadly, some shops depend on the ignorance of their clients and mark up their parts and labor accordingly. If you have doubts about a shop’s validity, consult the Better Business Bureau and see if there are any complaints filed against it. Q: Do you use aftermarket parts? A: No, we only use original parts. If I do put an aftermarket part on a car, I won’t do the repair. Another thing people ask is, ‘If I bring in my own parts, can you fix my car?’ That’s like going to a restaurant and asking them to cook the eggs and bacon you brought. It doesn’t work that way. Q: Do you service American cars, too? A: Occasionally we’ll work on American cars. You can find a full list of brands we service on our website. Q: What if I need to drop off my car when you’re closed? A: There’s a drop box on our door with envelopes and forms for your personal information (name, address, phone number, year/make of vehicle) and requested service. Put the completed form and your keys in the envelope and slip it into our mail slot. We’ll call you the next day when we’ve looked over your car. Q: How do I get back home when I drop off my car? A: There are many options. A BART station is about 10 minutes’ walking distance away, or someone from the shop can drive you there if they’re available. Also, if someone’s available and you live nearby, we can give you a ride home. Or we’re happy to call you a cab or rent-a-car service. Q: Will you refer me to places that don’t perform your line of auto work (towing, stereo installation, body shops)? A: Of course. 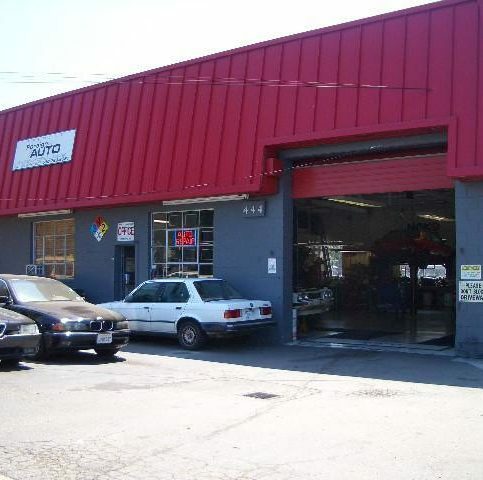 We work with many automotive shops in the Bay Area. We have a large selection of towing companies that we recommend, and we also have contact information for stereo system shops, body shops, window tinters, dent repairers, warranty shops, upholstery shops and more. Q: Do I have to make an appointment, or can I just stop in? A: It’s better for us if you make an appointment. We’re normally very flexible and can work with your schedule, but dropping by sometimes backlogs us and sets the mechanics’ work further back. If you don’t need your car back anytime soon, however, you’re more than welcome to bring it by without an appointment. Fremont Foreign Auto is located at 444 Mowry Avenue. Fremont Foreign Auto services most major foreign car brands. Besides repairs, Fremont Foreign Auto handles factory maintenance. A live webcam enables customers to watch their cars being serviced. 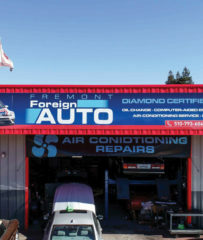 Fremont Foreign Auto also services air-conditioning. Fremont Foreign Auto only uses original parts. 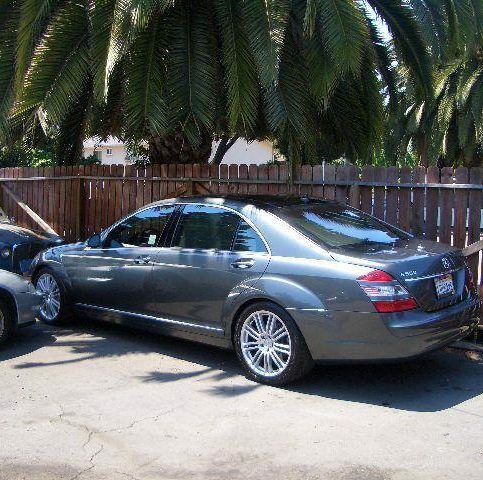 Fremont Foreign Auto does everything from brake repairs to engine overhauls. 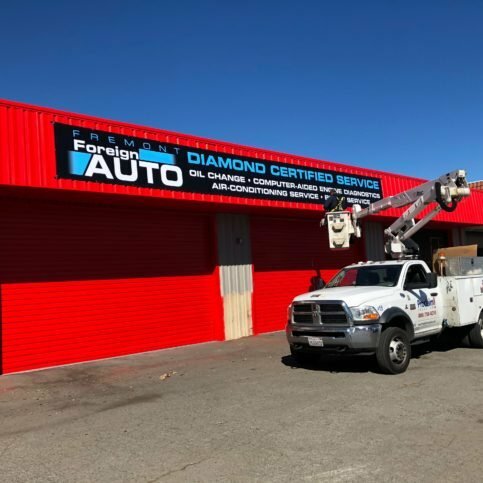 Eduardo Porta is a lifetime veteran of the auto repair industry and owner of Fremont Foreign Auto, a Diamond Certified company since 2005. He can be reached at (510) 394-4979 or by email. Despite his humble arrival, Eduardo was determined to fulfill his dreams of prosperity. Through a series of auspicious events, he found a place to stay and started working at an auto repair shop in Colma. Eventually, Eduardo obtained his green card, got married, started a family and became owner of his own repair shop. A: I’ve done everything from skydiving to scuba diving, but the most dangerous thing I’ve ever done is take my Ducati up to 185 miles per hour. A: Australia—there are a lot of beautiful areas to go motorcycling. A: A 1967 Ford Corcel, which is a model that’s made in Brazil. A: Papillon Restaurant in Fremont. A: An early bird. I’m in bed by 9pm because I wake up at 4:30 every morning. FREMONT — Whether you drive an older or newer car, whether it’s a foreign or domestic model, there’s one thing you shouldn’t waste your money on: resurfacing your brake rotors. Resurfacing is a method for restoring and extending the operating lifespan of rotors that are still in reasonably good condition at the time of brake pad replacement. While this may sound like a good idea, it’s usually more trouble than it’s worth. It’s not uncommon for problems to arise with resurfaced rotors. For example, within six months of having your brake pads replaced and the rotors resurfaced, you may start to have pulsation issues when coming to a stop. You shouldn’t have to deal with this kind of issue so soon after having your brake pads replaced. Additionally, when it comes to car models from 2004 and earlier, new rotors are so inexpensive that it’s not worth the money to machine the old ones. That’s why, whether you drive a newer or older vehicle, it’s typically worthwhile to replace the rotors along with the pads—you’ll avoid headaches, stay safe on the road and maximize the lifespan of your brakes. FREMONT — With the growing prevalence of synthetic engine oil, oil change intervals have become a hot topic for high-end car owners. Because of synthetic oil’s superior performance, the typical oil change interval for a high-end car is several thousand miles longer than that of a normal vehicle. Still, it’s important to get the right information when determining the correct oil change interval for your car. Many high-end car manufacturers are now recommending an oil change interval of 10,000 miles. However, this is in conflict with synthetic oil manufacturers, which recommend oil changes every 7,500 miles. So, who should you trust? As a professional mechanic, I’ve found the 10,000-mile oil change interval to be very problematic. After 7,500 miles, synthetic oil’s viscosity starts to break down, which means you’re driving that last 2,500 miles with bad oil in your motor. This is even worse for cars with more than 100,000 miles on the odometer, as they’re more liable to develop engine lubrication problems. At my shop, I’ve seen everything from BMWs and Mercedes-Benzes to Hondas and Nissans come in with major internal lubrication issues due to being driven too long without an oil change. In most cases, these issues cost thousands of dollars to repair. For this reason, I advise listening to the oil manufacturer rather than the car manufacturer when it comes to oil change intervals. After all, as the ones designing and producing the oil, they should know best. By having your synthetic oil changed every 7,500 miles, you can avoid major engine problems and prolong your vehicle’s lifespan. Rather than stay on top of ongoing maintenance, many car owners will simply have their transmissions flushed on occasion. However, few people realize that flushing a transmission can actually cause problems, especially with a vehicle that has more than 80,000 miles. Since flushing a transmission forcefully removes any trace of the old fluid, when the new fluid is introduced, it cleans the valve body so well that the worn-out parts inside can start to leak and lose pressure. In contrast, when you skip the flush and simply drain the fluid, some residue from the old fluid remains, which makes it less of a shock when the new fluid is introduced. Paying for this service every 30,000 miles can add up, but when you consider that the price of a new transmission is $6,000, it’s plain to see its value as a long-term investment. By being diligent about maintenance, your transmission may indeed last for the lifetime of your vehicle. FREMONT — Host, Sarah Rutan: Many high-end car manufacturers now recommend a 10,000-mile oil change interval, but is this really a good idea? Today we’re in Fremont with Diamond Certified Expert Contributor Eduardo Porta of Fremont Foreign Auto to learn more. Diamond Certified Expert Contributor Eduardo Porta: I have a tip for you. Whether you’re my customer or not my customer, it’s: An oil change today, it’s a big deal. All these newer cars, since 2008 and newer, require synthetic oil. And the manufacturers are telling the people out there to do an oil change every 10,000 miles. So wrong! Companies from the oil companies recommend that the synthetic oil is being changed every 7,500. All the vehicles are being changed at 10,000 miles. Cars above 100,000 miles, they have all kinds of lubrication problems in the engines. I have cars in here, they come, BMUs, Mercedes, Hondas, Nissans, they come with the internal engine lubrication issue due to the extending 10,000 miles oil intervals. Really wrong. 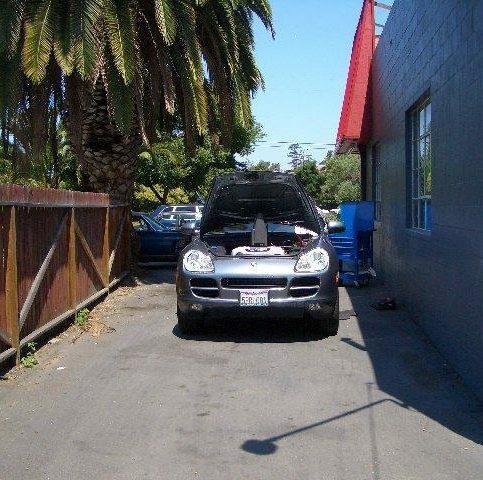 Don’t do that to your car. Read about it. Go to the oil manufacturer and read about it. Not the car manufacturer, but the oil companies. Because cars, they don’t make oil. Oil companies are the ones that are responsible for these oils. And after 7,500 miles on a synthetic oil, you will break the viscosity and then you’re running with bad oil inside the motor. In the long run, it’s not good. You have a lot of expenses. I have cars in here, you spend up to $6,000.00 in repairs because there’s oil not being changed in 7,500 miles. You know, you don’t have to take my word for it. Do some research out there and then keep your engine clean. Diamond Certified Expert Contributor, Eduardo Porta: We’re here today to talk about automatic transmissions. That will be the service. Keep in mind to service the automatic transmissions on a daily basis. That means most of the cars in between thirty to forty thousand miles. Check your records. If you’ve never done one, it’s important to do because the transmission, it will not last that long. Average transmissions, they last over two hundred and fifty thousand miles is the ones the services’ been done. Okay, go back to your records, look at what kind of car you own, and then make sure you do those services. This is very important. 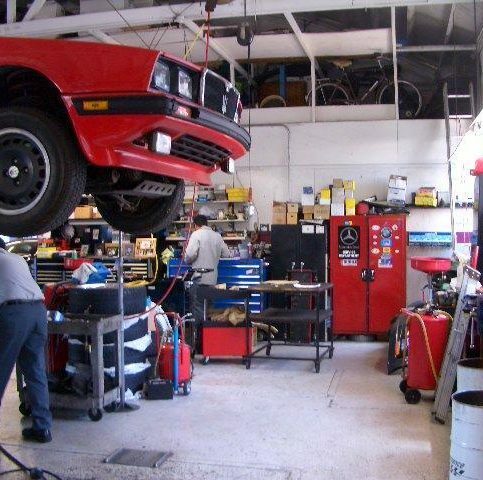 Mercedes, BMWs, they don’t advertise out there to do the transmission service – which is not true because the transmission will not last the life of the car. It will last the life of the fluid if you take care and you replace them. Keep that in mind. Stick shift transmission, much easier, much cheaper. Do every thirty thousand miles, you’re going to have a transmission for a long time. Video: Brake Rotors: Resurface or Replace? FREMONT — Host, Sarah Rutan: When having your brake pads replaced, one decision you may need to make is whether to resurface or replace your rotors. Today we’re in Fremont with Diamond Certified Expert Contributor Eduardo Porta of Fremont Foreign Auto to learn more. Diamond Certified Expert Contributor, Eduardo Porta: We’re here today to talk about brakes on the cars of 2004 or newer, that’s include Japanese, domestics and Germany cars. Do not turn or resurface rotors. And the reason is, is that you put in new pads and reusing the rotors or you turn the rotors, six months later you still have new brakes and you coming to a stop and you have a pulsation problem. Basically you’re wasting your time, your wasting your money on that. And the cars that are older, 2004 and older, the rotors they’re so cheap it’s not worth it to machine them anymore. Make sure you get your money worth, put in new pads and new rotors, you avoid the headaches, problems, and you drive safe. Fremont Foreign Auto : Average 9.3 out of 10 based on 350 unique customer surveys of customer satisfaction. I have been going there for a long time. They are experts and very honest. They are trustworthy, and they have a loyal client base. Honest, reliable, and you can trust them. They won't try to rip you off. I guess that they know what they are doing, and they don't fix something if it is not broken. The service and the staff is excellent. They are upfront, and the work is good. I have never had to come back or second guess them. The staff and the owner, Eduardo, are all excellent. They go out of their way for you. My car works and it runs. That is it. You are definitely getting your money's worth. Any type of headache you have with your car will be resolved when you get your car back from them. I would give them an "11". They break down the repair, in terms of things you can understand, and they do a fantastic job. They have a lot of European cars on their lot, which gives me confidence. I would give them an "11". I like the whole team, the owner and staff. They do the necessary things to your car that make it safe and functional. He will review your car and let you know what needs to be done and what doesn't need to be done in order to save you money. The owner is deeply involved and not removed at all. He will talk to you about your car. They are pretty solid people. It is a trustworthy place and a place where you can get the actual facts. They were very timely. They did everything quickly, and they let me know when it was done. They are very good at what they do, and they are very honest. I never have to worry about them price gouging me or anything. I would tell them that I was satisfied with their customer service, the way that they explained the issues with the vehicle, and the way the repairs would take place. I liked the face-to-face contact where they explained the issue and the steps they would take to resolve it. That they are a very honest group, and they do excellent work. Their customer service is awesome. I went to Eduardo's brother before, so I have been working with them for at least 15 years and 3 vehicles. Everything has been excellent. They have been so honest, and I have recommended them. They are charming, very helpful, and respectful. What else can I say? I wouldn't take my car anywhere else. They were really honest, and he fixed a couple of things that I didn't even ask him to fix. I just liked the honesty and their thoroughness in how they did the analysis of my car. The people are great. They are effective, and they commit to it. They take care of business. I like the quality of the work that they do. I would say they do honest work at a very fair price. What I like best is that they diagnose the problem quickly and correctly. I feel confident that they're doing only what the actual needs are.